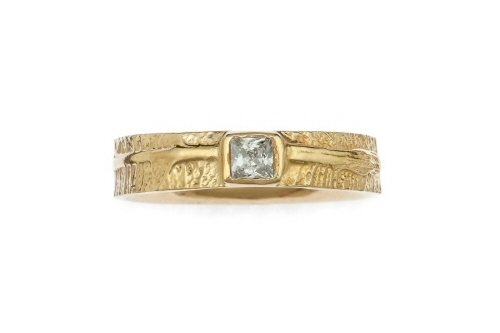 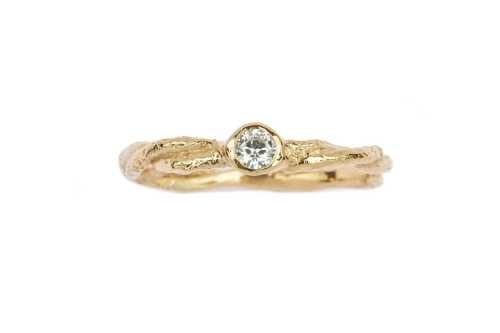 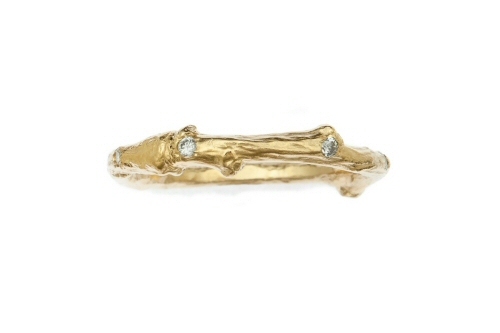 A budded twig wraps around the finger to create a ring, cast from life in 18ct yellow gold it entwines a 0.16ct brilliant cut round diamond. 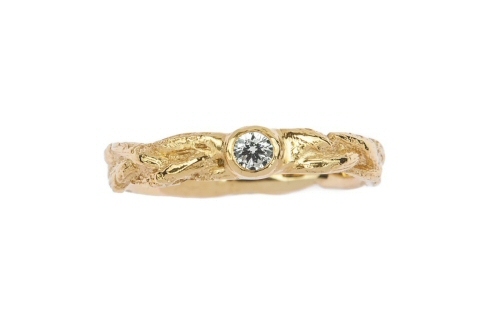 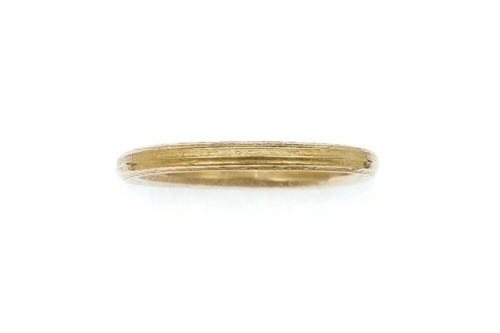 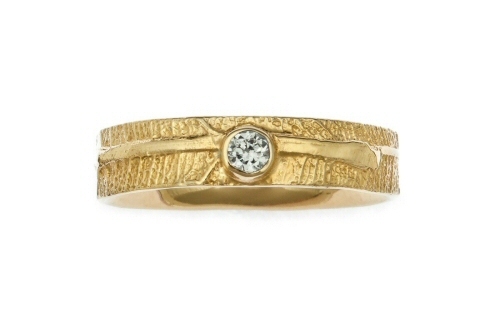 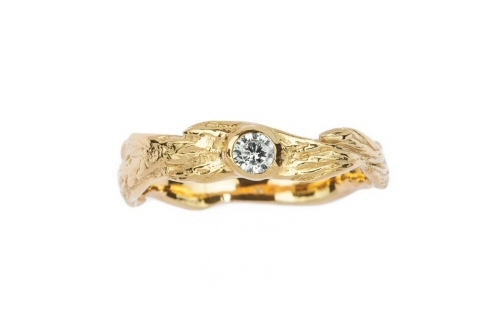 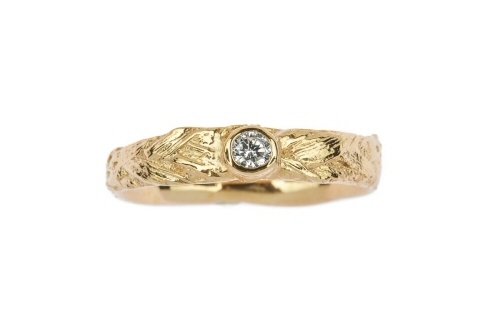 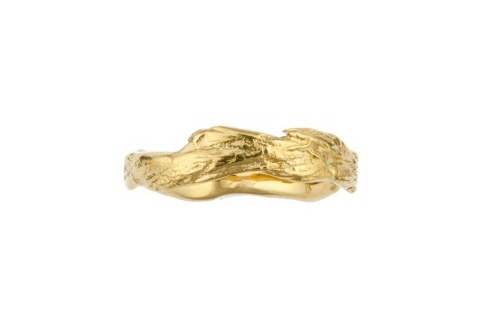 The twig ring retains all the finest textures from the original natural form, this 18ct yellow gold ring is 9mm at its widest point, and pairs perfectly with a twig band to create a woodland wedding set. 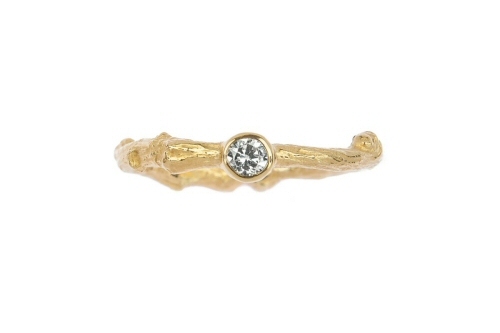 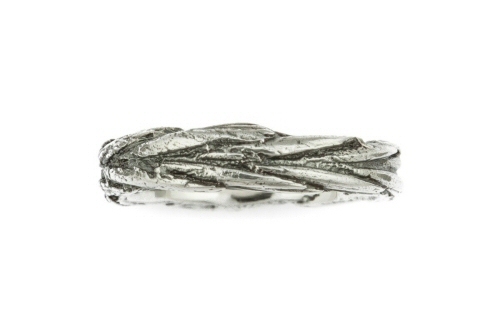 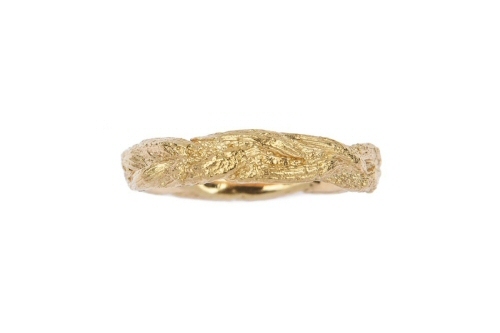 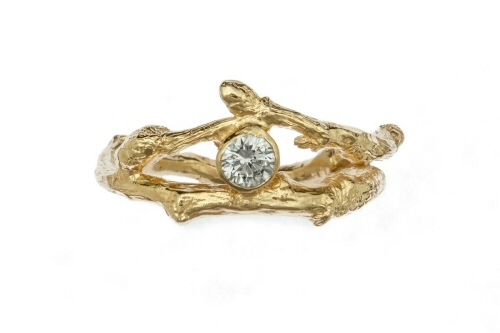 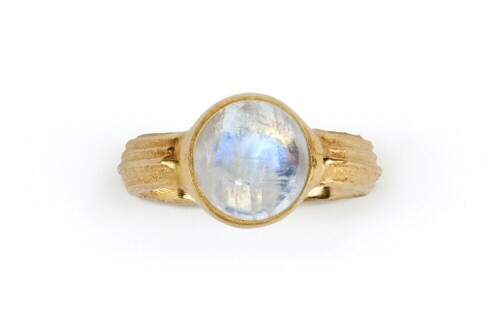 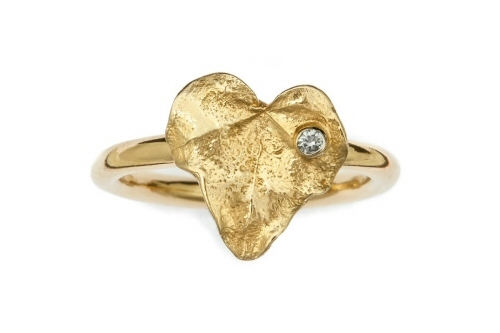 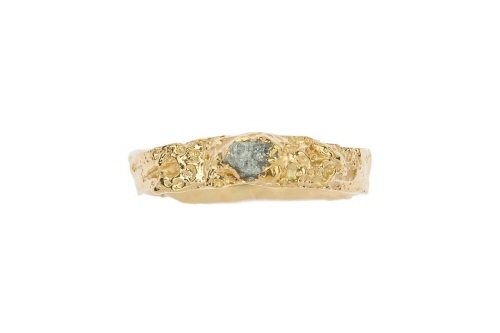 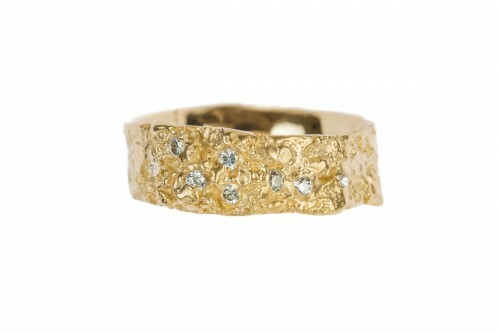 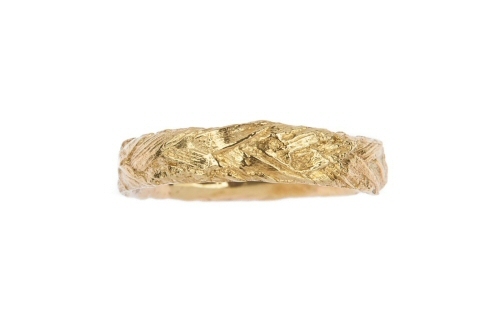 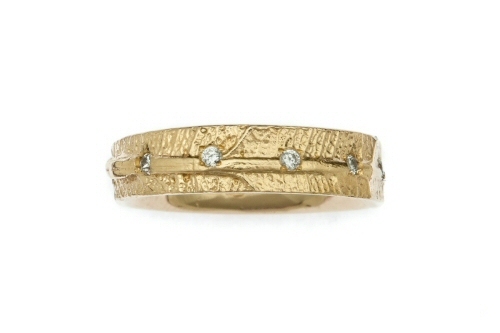 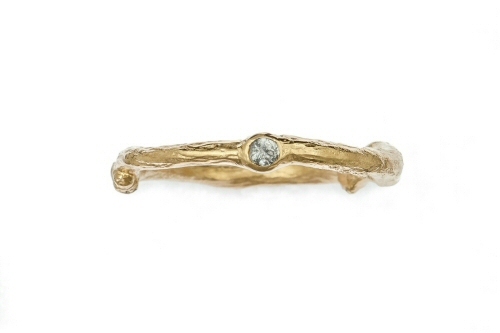 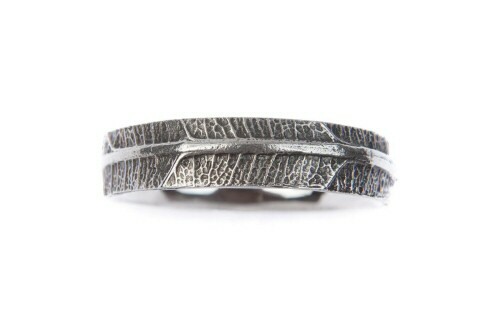 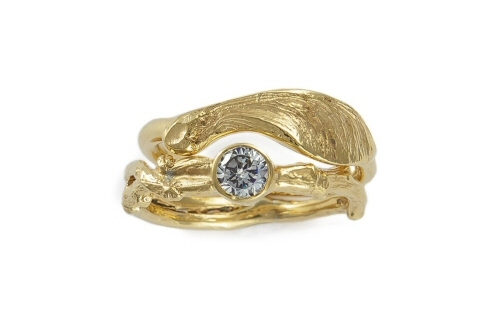 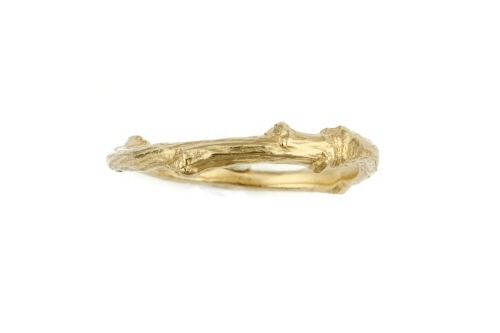 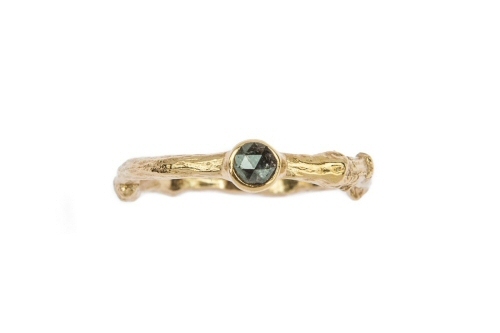 The budded twig ring can be made in yellow, white or rose gold. 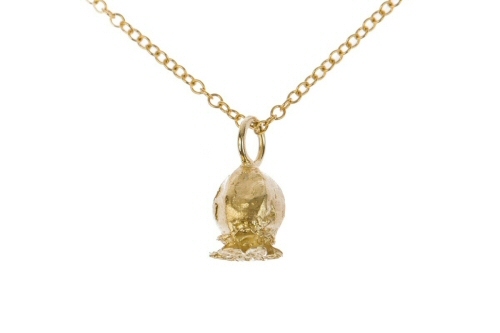 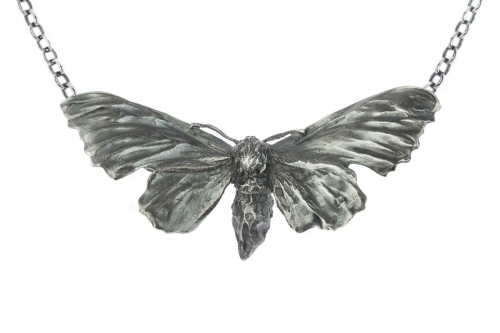 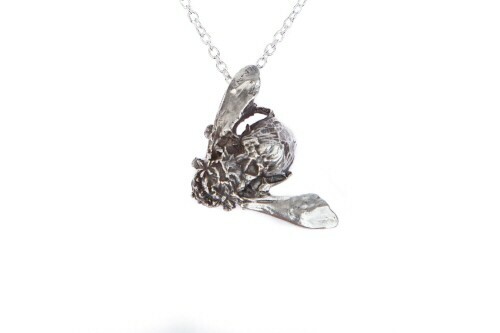 Made in Oxfordshire, it carries a Birmingham hallmark.